Rebuilding a sports franchise is never easy. Some teams look to acquire talent by dishing out huge contracts to proven free agents in an effort to see improved results immediately. Others may take the long-term approach, aiming to rebuild the roster through the draft and by seeking young talent that can be developed in-house. The Philadelphia 76ers are the most glaring example of a team that prioritized the rebuilding “process,” vying to construct a roster that would carry the team for the foreseeable future. This season seems to be proof that “the process” may just be successful. Can it be translated to the NFL? The league’s salary cap system is designed to induce parity throughout the league, and maintaining talent has never been more difficult. While some teams appear to be just a few key pieces away from success, others are in need of many upgrades and therefore may find it more beneficial to undergo a complete overhaul of the roster. Below are three teams that could benefit more in the long-term by taking the latter approach to the rebuilding process. It is not often you can say that a team has “nowhere to go but up” and mean it… literally. 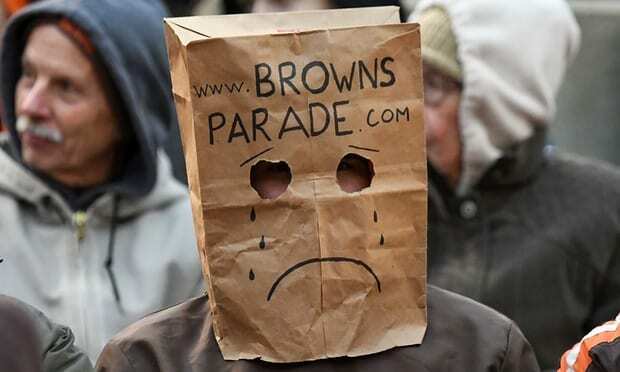 That is exactly where the Browns are at the moment, having recorded just the 2nd winless season by an NFL team since the merger, joining the 2008 Detroit Lions. The Browns have seemingly been in rebuild mode for the better part of the past two decades. Their last postseason appearance was in 2002, and their most recent playoff win was way back in 1994. Cleveland is facing an uphill battle, which will require a complete transformation of both personnel and organizational culture. The main issue for the Browns over the past two seasons has been the failure of Head Coach Hue Jackson to instill a winning attitude among the players, evident by his abysmal 1-31 record during that time frame. The good news for the Browns is that they are in a position to make a strong impact through the draft this year. The team currently has a total of 12 picks in the upcoming draft, including the first and fourth overall picks and three second-round selections. The plethora of picks puts the organization in a position to really infuse the roster with talent, including acquiring a much needed franchise quarterback. Despite making a move to pick up Tyrod Taylor from the Bills, drafting a high-profile QB could be the key move to change the dynamic of this team. The offensive line needs to be upgraded as well, particularly following Joe Thomas’s retirement last month. Even with the acquisition of Carlos Hyde in free agency, Cleveland should take a chance on Penn State RB Saquon Barkley. The Browns could also use a lot of help on the defensive side of the ball. The team finished 2017 ranked 21st in sacks with a total of 34, despite selecting Myles Garrett with last year’s first overall pick. Look for the team to bolster its pass rush, and to take some of the pressure off Garrett. Cleveland could also use an influx of talent at linebacker, as well as in their defensive backfield, following CB Joe Haden departure. Hopefully the Browns can leverage their 12 draft picks into the beginning of a true “process” that will improve the franchise for years to come. The Colts were a complete mess last year, starting with Andrew Luck’s unexpected full-year absence and further aided by a lack of talent on the defensive side of the ball. Everything starts with Luck and his health, and recent reports suggest that he could be ready to roll by training camp, although it is concerning that he hasn’t thrown a football in such a long time. The team should look to surround Luck with as much talent as possible in case he is able to return for the 2018 season. Even if Luck’s health permits him to play, there are so many gaping holes on Indy’s roster that it would make sense for the team to take its time in the process of solidifying its personnel ahead of its Super Bowl aspirations. On the offensive side of the ball, the Colts need to prioritize protecting Luck, who has notoriously taken massive hits and sacks over the course of his career. 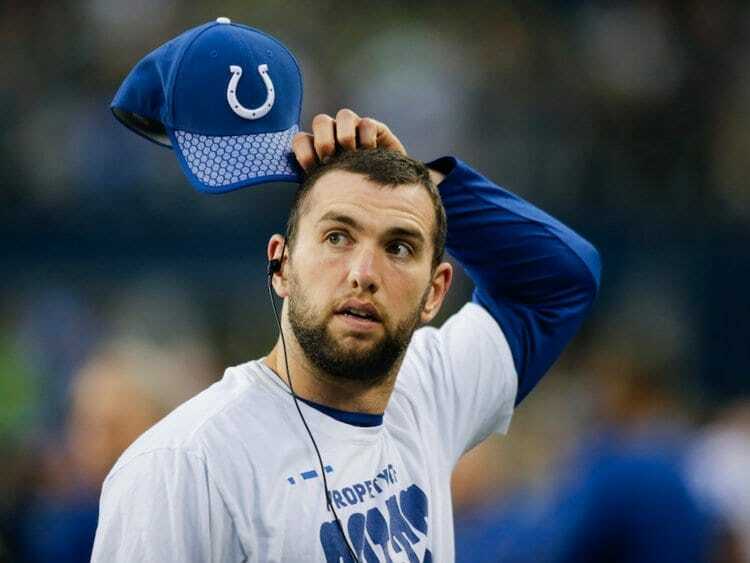 Luck’s current health concerns are a direct result of the lackluster performance of the offensive line. Constructing a young and capable presence up front could be the foundation the team needs to accomplish its rebuilding process. Additionally, the Colts lost Frank Gore and Donte Moncrief in free agency, leaving them with even less veteran talent to make an impact in the short term. Defensively, there are so many holes to fill, which could force the team to take a long-term approach even against their will. In today’s passing-oriented NFL, it is extremely important to have a strong secondary to contain opposing aerial attacks. The Colts have just parted ways with Vontae Davis as well as Rashaan Melvin, who finished the season with 36 tackles, three interceptions and 13 passes defensed, before electing to sign a one-year $6.5 million deal with the Raiders. Finding their replacements could take time, as rookie cornerbacks tend to struggle in their first year in the league. The Dolphins were able to overachieve last season, and that says a lot considering they only won six games. 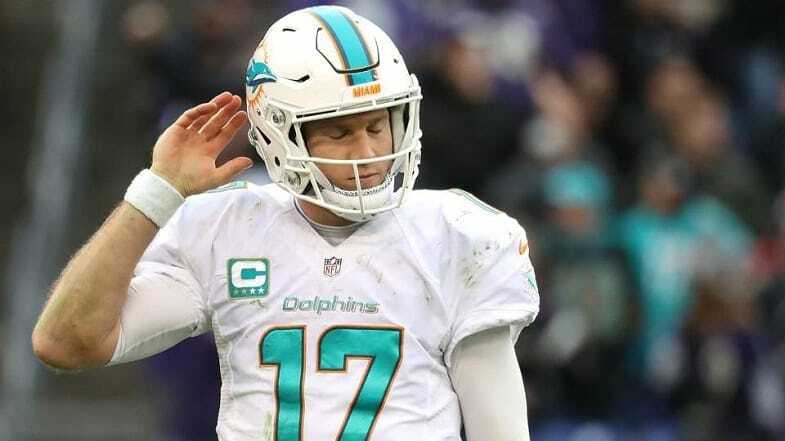 As we look to the future, the team needs to decide on Ryan Tannehill’s future with the club. Tannehill hasn’t played in a game since December 2016, raising concerns over his ability to overcome such a long stint away from the game. It remains unlikely that Miami will be able to grab one of the top four quarterbacks with the 11th pick in the draft, making it that much more sensible to think long-term in their rebuilding efforts. The Dolphins offense received a strong boost from rising star RB Kenyan Drake last season, who single handedly took over several games. His performance is linked to the team’s over-achievement in the win column, and could be a nice stepping stone to build around. However, long TD runs are often difficult to repeat, and Miami is undermanned up front, lacking strong contributors on the interior line. Right tackle Ja’Wuan James has struggled mightily with his health over the past three years. Dependable possession receiver Jarvis Landry left the team, hurting the offense’s third down and redzone weapons, and the starting tight end on the roster at the moment is former Bronco AJ Derby. On defense, the Dolphins are weak at linebacker, which could be addressed early in the draft if all four top QB prospects have already been selected. The team could really use help on all three levels of the defense, including on the defensive line and secondary, and should they fail to acquire a top QB in the draft, it could be best for the team to simply take the most talented players available. By filling the locker room with young and promising talent, the Dolphins could set themselves up for the future by freeing up as much salary cap space as possible, with the aim of picking up a QB in next year’s draft.